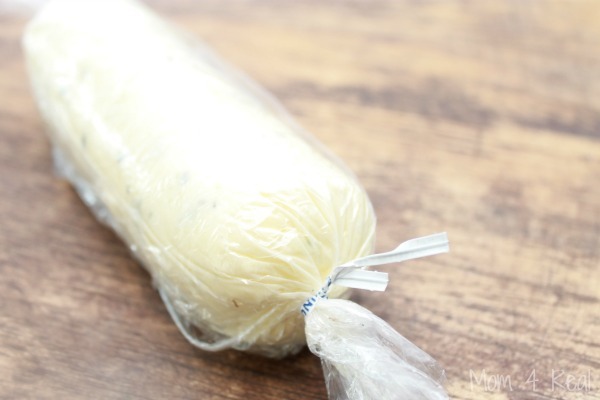 I’ve been meaning to make my own compound butter for the longest times, and kept putting it off. Compound butter is just a fancy way of saying butter with something added to it. 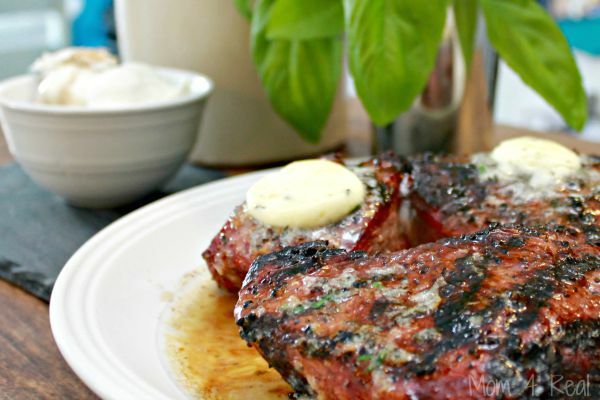 If you’ve ever had a nice steak at a restaurant, chances are it was served with a garlic herb compound butter drizzling over the top. One of our favorite local restaurants here in Lexington, Harry’s serves softened herb butter with their amazing bread, and our favorite vacation restaurant, Drunken Jacks serves a delicious honey butter with their world famous hush puppies. 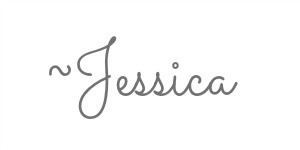 The possibilities are endless…it’s all up to what your tastes are! 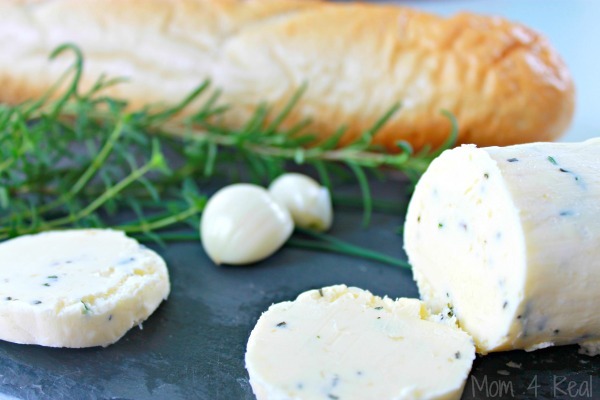 Today I want to show you how easy it is to make your own compound butter and share my garlic and herb compound butter recipe! You start with two sticks of unsalted butter that are brought to room temperature. 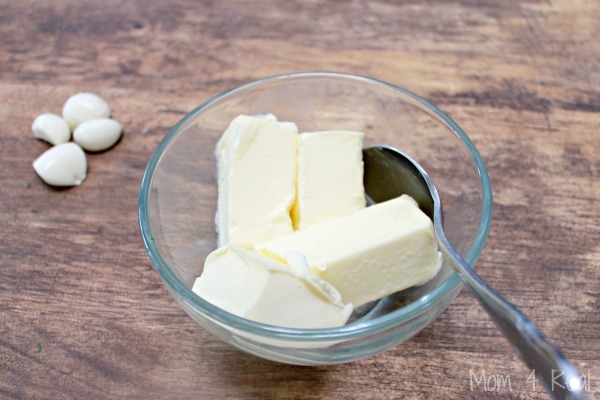 Do not use melted or cold butter…just let it sit on your counter for a couple of hours and come to room temp. For this recipe, I added a teaspoon of fresh chopped rosemary, a little chopped thyme, a teaspoon of finely chopped chives (they aren’t pictured because I threw them in last minute), and 3-4 cloves of garlic depending on how garlicy you want it. I LOVE garlic, so I went with 4. 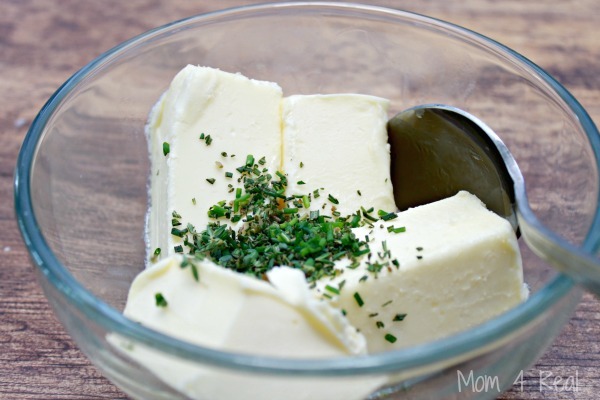 Start by stirring up your softened butter in a bowl. Next, stir in your herbs. 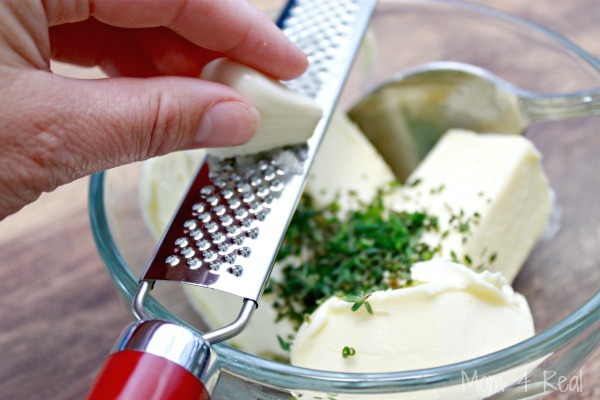 To be sure that your butter doesn’t have large chunks of garlic, use a microplane or fine grater to add your garlic to the mix. Stir all of the ingredients together, making sure they are distributed pretty evenly. 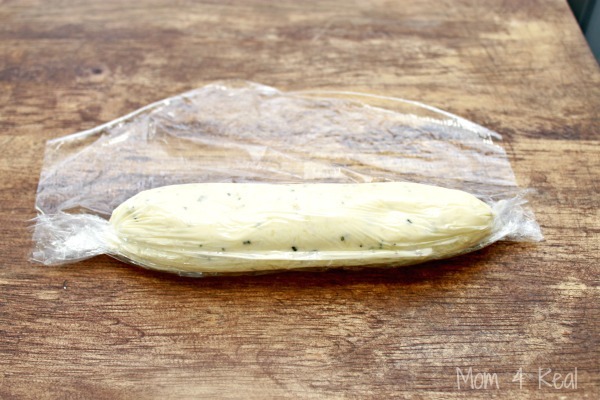 Lay out a long piece of plastic wrap and place your mixture down the middle, making sort of a log. 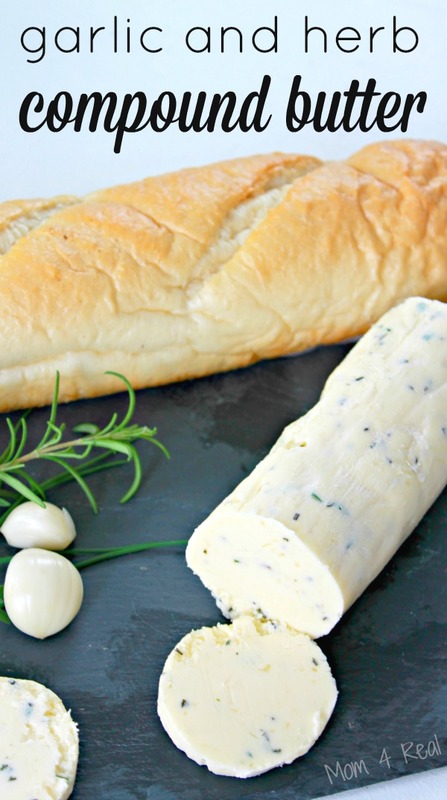 Now, roll the butter into a smoothish log, twisting the ends while you roll it. Once you get to the end, either tie the ends off or use twist ties to secure them. Place in your refrigerator for at least two hours to allow the flavors to infuse into the butter and allow the butter to become firm again. 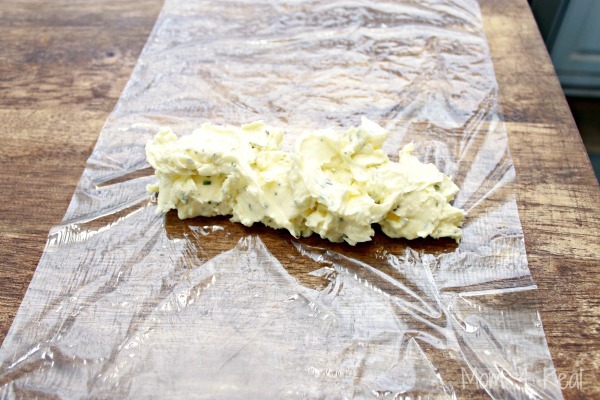 Now you are ready to use your compound butter! Simply slice off what you need, and add to some french bread or add to the top of a steak, chicken, fish or pork to give them some added flavor! them with you! Cinnamon butter, honey butter, strawberry mint butter, lemon pepper butter and so many more are on my list to try! 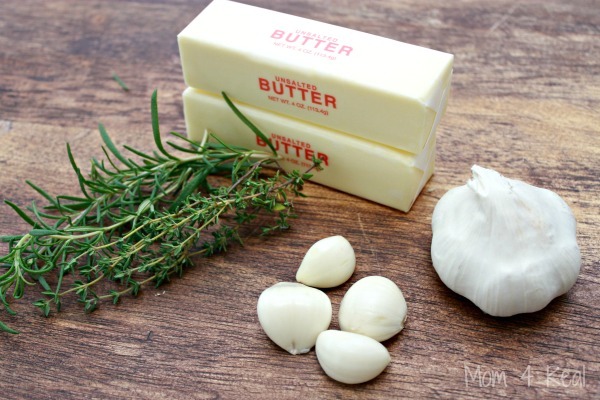 If you don’t think you will use all of your butter, this freezes wonderfully as well! I think it would make an amazing hostess gift when you are invited for dinner and will make a great gift around the holiday season too! What do you think? 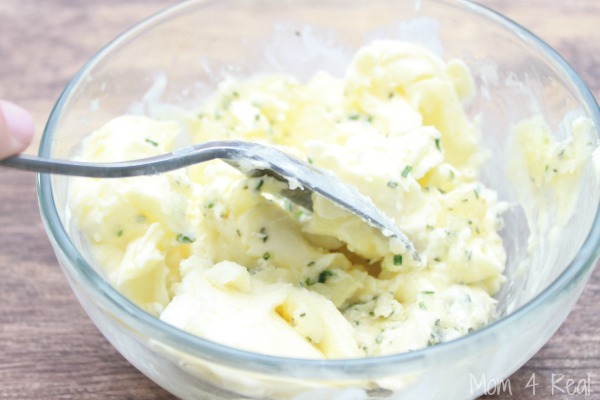 Any compound butter recipes you are thinking of trying? Can’t wait to taste this! It’s chilling as I write this. Thank you for sharing this recipe!